Magic Kingdom is my jimmy jam. I love that damn place more than I love most people in my life. Where else in the world could you find Ciera covered in a sheen of Orlando sweat, crying and clutching a themed Precious Moments figurine? My point exactly. Magic Kingdom damn well has everything. Consequently, that castle gives me such anxiety, because I always try to take a photo with it where I look like a normal human being and not a like an actual crisis monster, so looking at it definitely has mixed feelings of complete joy and impending sweat mustache. Being most basic on #hubgrass before the …. MOVE IT SHAKE IT PARADE! I just …. I’m too tired to be embarrassed anymore. 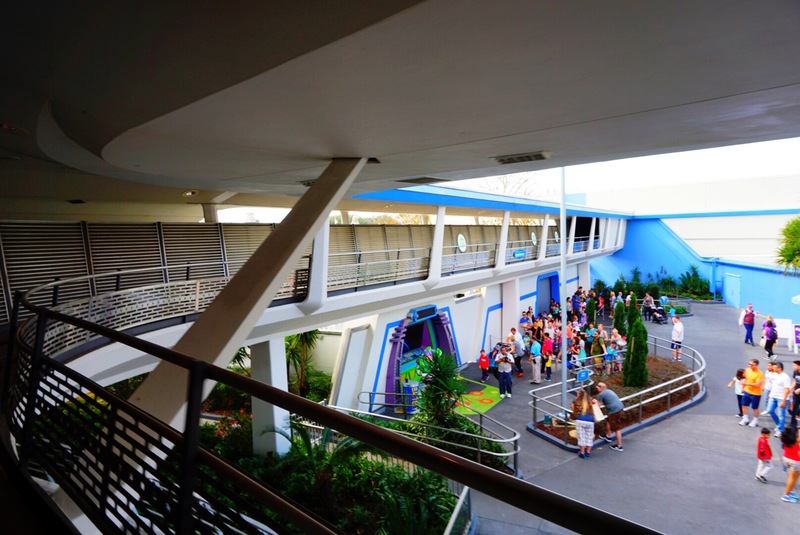 HOME OF GOD’S GREATEST RIDE EVER: THE PEOPLEMOVER. I’ll genuinely fight you if you disagree with this. Not only is the Peoplemover my favorite ride, it also has one of my favorite #scenesofdisney – this space babe. My queen. Love of my life, fire of my loins, et al. We enjoyed cream cheese pretzels (nothing like dairy in the blistering sun, but on the real, getchoo one. Fantastic!) 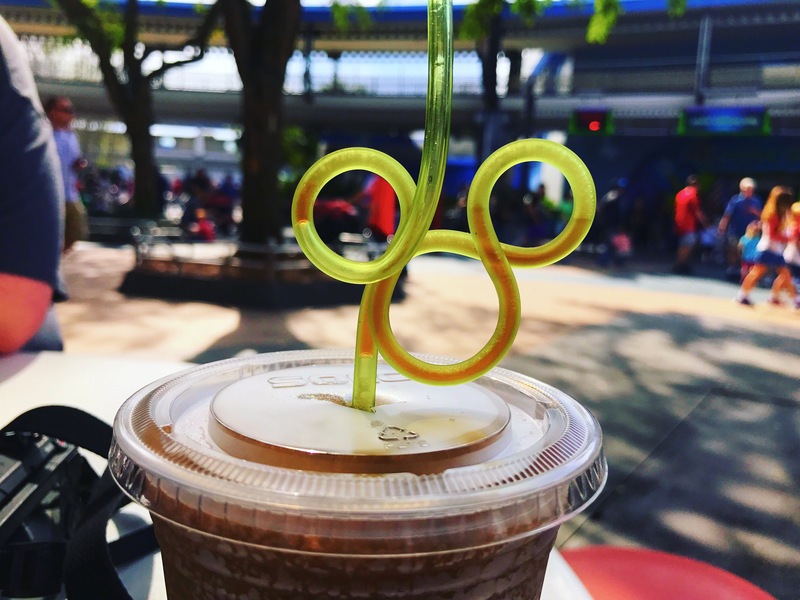 and frozen cokes before we headed off to a first for Mom & Tom – The Carousel of Progress! These trees in Tomorrowland are the best. Another favorite scene of Disney. Around the bend and through Tom’s smoking area: the Barnstormer! Scares the crap out of me every time. One of my favey fave shops. And my favey fave girl. My house looks so good, right? the BatB section of MK is an addition that I will never, ever stop being thankful for. I could stare at it for ages and ages. I can’t believe there was ever a park without it. Oh yeah – and Gaston. YAAAAAAAAS, sexpot! Speaking of other additions that I could stare at for the rest of my days. Them gorgeous Punzie potties, tho. LYLAS, girl. IF YOU LOOK FOR HANSON, THEY WILL COME (TO YOU). I kill myself. Ugh. Just ugh. Every time I round this corner my heart does flip flops. Tom Fields’ favorite ride, the bane of my existence …. he’s lucky it looked so pretty at sunset. We finished the night with a kitchen sink from the Plaza Ice Cream Parlor (yes it was absolutely as amazing as it looks – and bonus, you get to keep the “sink” as a precious souvenir!) while we watched Wishes and called it an early night. And by early night, I mean limped and cursed our way all the way to the last shuttle stop, which was naturally where we were being picked up, and then rolled around in the hotel room watching reality TV until it was time for bed. PARTY! I threw in some of the boomerangs that I took during our time at MK, feel free to enjoy those. They are all jumbled up because I had to upload them via the mobile app so I wouldn’t have to pay for a wordpress plan that supports video (sssh), but anyway – have at em! I want one of them cream sinks. Ariel dun boomeranged her feet off! I would imagine that you could have anything in the world that you wanted, Riana Doss! Literally flawless photos. It looks – excuse the cliche – simply magical. And I dig the site update – looks so you! Thank you! I was really excited to find this theme, it seemed fitting! that precious moments will be mine, oh yes. Do you remember how much it was? !